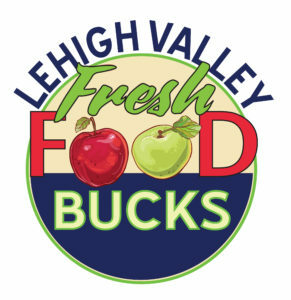 Residents eligible for the Supplemental Nutrition Assistance Program (SNAP), formerly the food stamp program, can use their EBT/ACCESS card to purchase fresh fruits and vegetables at participating locations, and BFBLGLV will match every dollar spent (up to $10 per day). SNAP/EBT accepted marketwide. Visit the info tent for SNAP tokens. 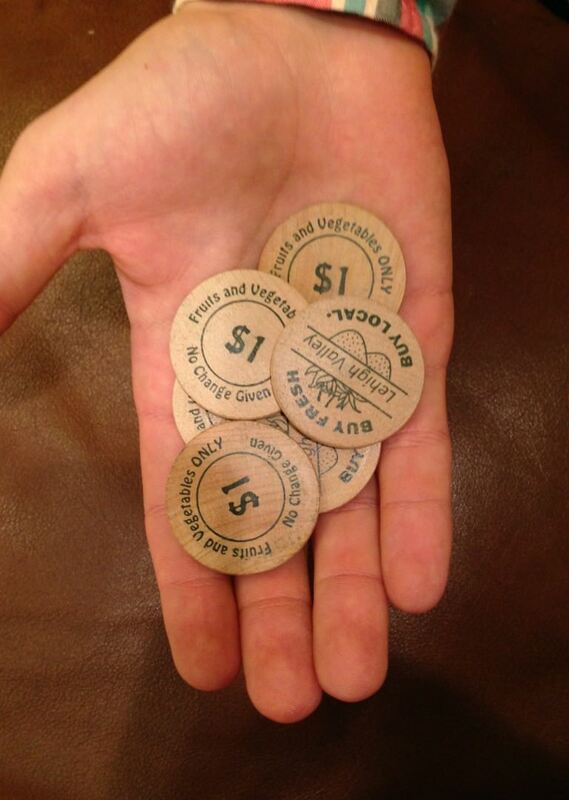 Use your EBT/Access card at the Highmark Farmstand and receive up to $10 in Double SNAP tokens to purchase fresh fruits and vegetables. The Double SNAP program is made possible by funding from the USDA’s National Institute for Food and Agriculture Food Insecurity Nutrition Incentives grant program, Two Rivers Health and Wellness Foundation, a Lehigh Valley Community Foundation 50th Anniversary Spark Grant, and support from the Kellyn Foundation, St. Luke’s University Health Network, Lehigh Valley Health Network and the Greater Easton Development Partnership. 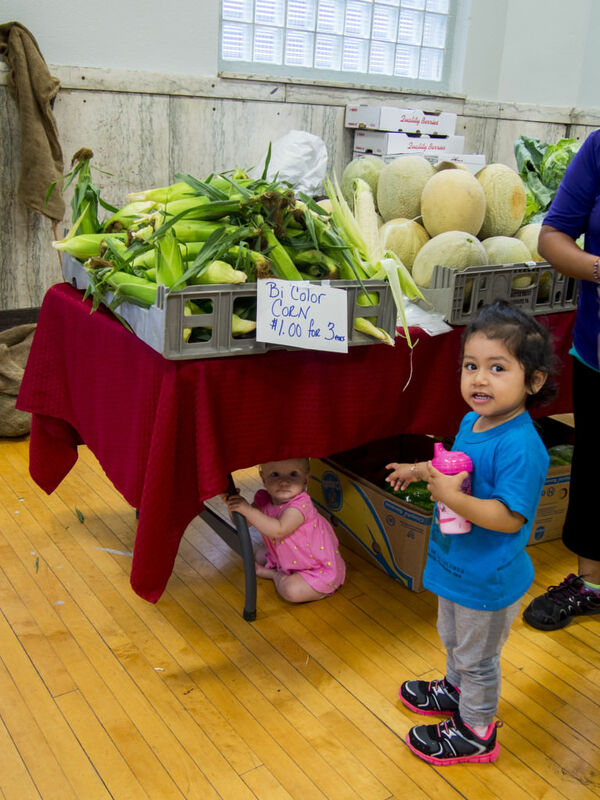 BFBLGLV has been instrumental in helping farmers register with the USDA to accept SNAP Benefits and working with community organizations to establish farm share programs & farm stands in the following low-income neighborhoods. 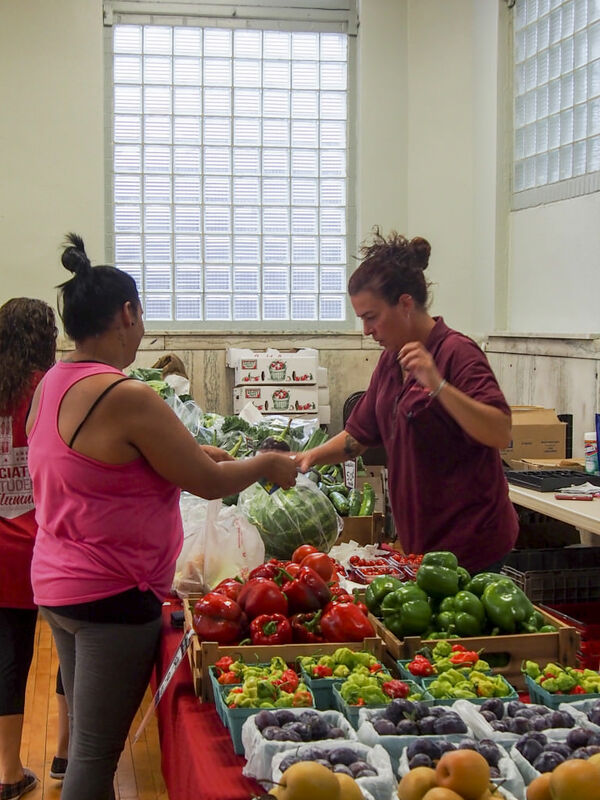 BFBLGLV also established the market-wide EBT (Electronic Benefits Transfer) program at the Easton Farmers’ Market, allowing all farmers to accept SNAP benefits for eligible products. 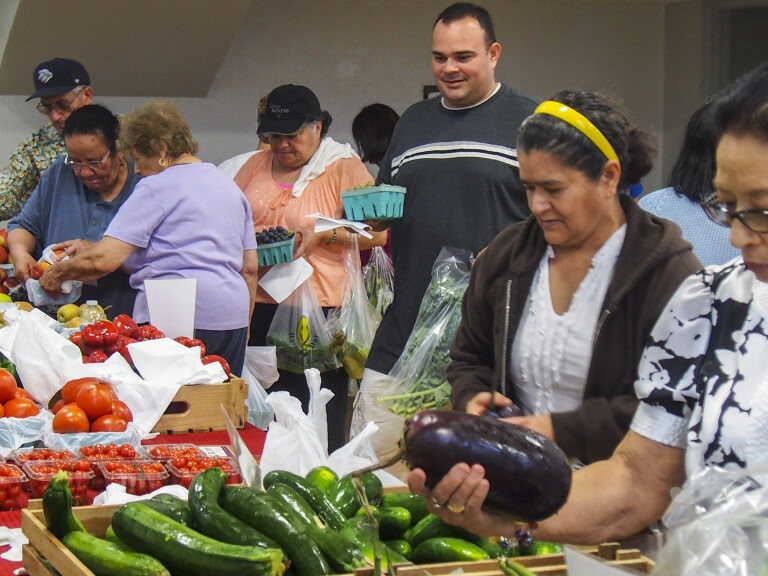 BFBLGLV works with community-based organizations and agencies to connect consumers eligible for Farmers’ Market Nutrition Program (FMNP) vouchers to local foods. 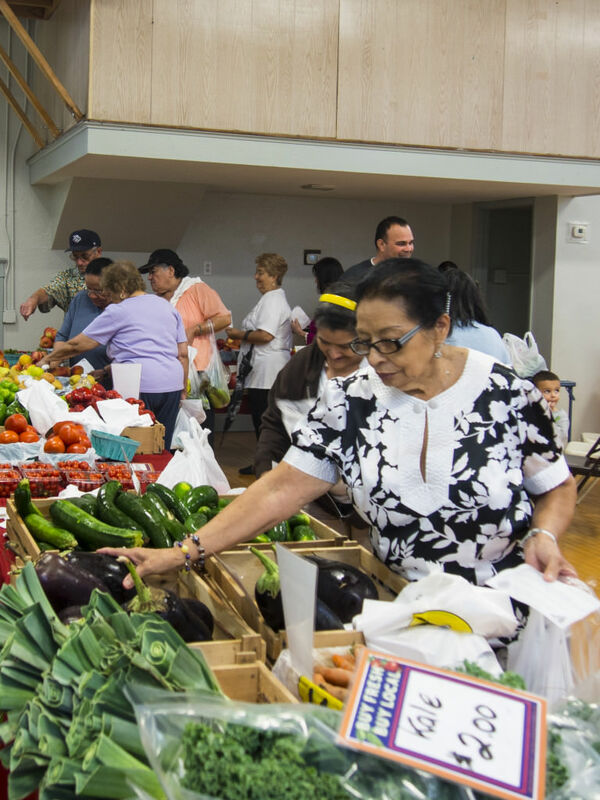 For example, the Hispanic Center Farm Stand was conveniently located near the county WIC office and a senior center, making fresh, local produce easily accessible for those looking to use the vouchers. Check the Fresh Food Finder and Local Foods Guide to see if your farmer accepts FMNP vouchers.